June LES Newsletter - Don't Miss Out on Great Upcoming Events! -Town of Derry 86.4kw solar array goes live! 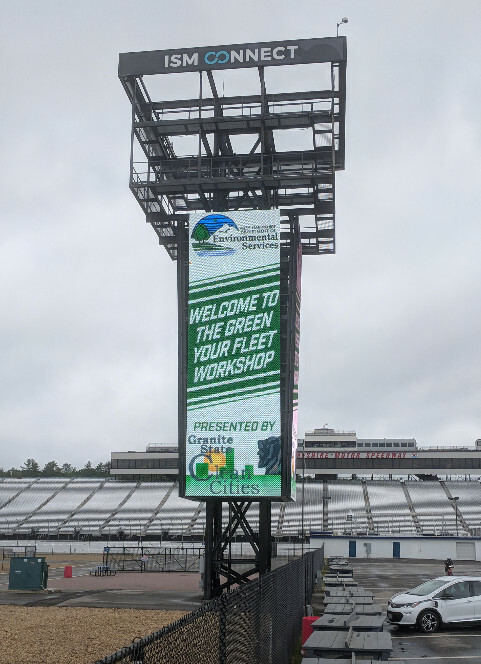 DES Green Your Fleet Workshop Roaring Success! For the past five years, Kate Epsen has served as the leader of New Hampshire's most pivotal renewable energy organization, NH Sustainable Energy Association. Over the course of her tenure, Kate guided our state's still nascent clean energy industry through many critical years of thorny and contentious policy challenges. Today, the clean energy industry in New Hampshire is stronger than it has ever been. 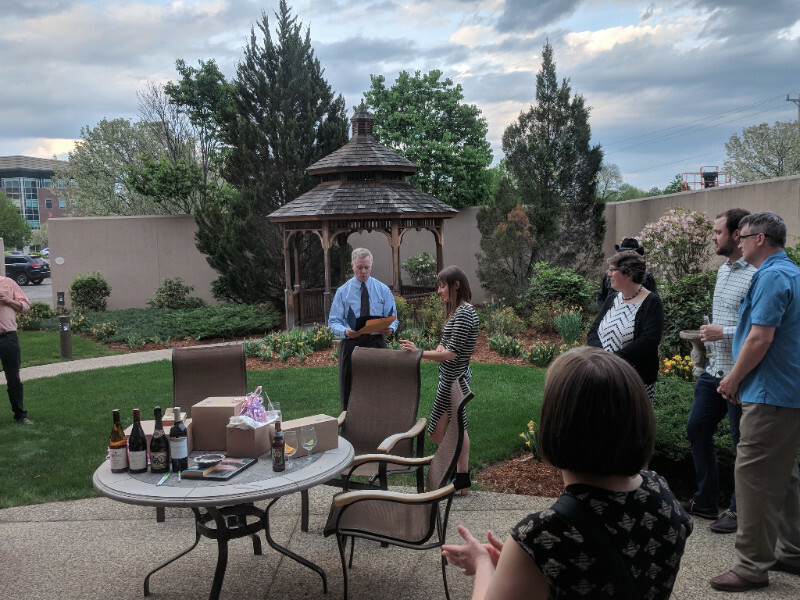 And it is will great gratitude and appreciate to Kate for her indispensable role in all of our success that NHSEA and its friends wish her a fond farewell and great happiness in all of her future endeavors. (Kate Epsen receives award for outstanding service from NH Senate Leadership). Town of Derry 86.4 kilowatt PV Tracking System Goes Live! On May 15, 2018, the Town of Derry held a ribbon cutting ceremony to unveil a new solar project at its transfer station. This installation showcases a new 86.4 kilowatt photovoltaic (PV) tracking system that will produce over produce over 156 megawatt-hours of electrical power per year, representing about four percent of the town’s annual electricity usage. Coupled with the sourcing of renewable energy from its regional electrical buying consortium, the Town will be obtaining 49 percent of its electricity from renewable sources. This $300,000 project was installed by Granite State Solar, and has an expected payback period of 10 years. This project was initiated by the Derry Net Zero Task Force and brings Derry closer to its goal of becoming a Net Zero community by 2025. The ribbon cutting ceremony was hosted by the Greater Derry Londonderry Chamber of Commerce, and included a dedication of a plague honoring former town visionary Thomas Minnon who passed away three years prior on the same date. City of Nashua Launches Solarize+! The Nashua Solarize + campaign offers group-purchase discounts on Solar PV and weatherization installations for homes and businesses located in Nashua and Hudson. This community discount is a limited time offer. The more participants we have, the higher the discounts for all! Read more here. For the first time in the history of the Renewable Energy Fund, all rebate programs (excluding residential solar thermal) have been closed down. New Alternative Compliance Payment (ACP) funds arrive on July 1. Read Secretarial Letter here. Sustainable Hanover Committee Presents Anniversary Update on "Ready for 100"
A first year update on their "Ready for 100" effort to transition to 100% renewable energy was presented by the Sustainable Hanover Committee and the Town of Hanover on March 28. View public forum here. About: New Hampshire has not yet seen a dramatic growth of solar power development like our neighbors in Vermont & Massachusetts. We know, however, it’s upon us, and in a few communities, has already arrived. Large-scale (and rooftop) solar can offer great benefits to both a community and the state, but there are also concerns that must be addressed in order to give communities both comfort and control. NHSEA and partners held an event in June 2017, Guiding NH to Smart Solar Siting, in order to bring people together to proactively deal with these imminent challenges and opportunities. One outcome of this event resulted in a call for model solar ordinance language that communities can use to create solar-friendly rules that also protect the community. NHSEA partnered with two NH planners and diverse municipal and industry stakeholder input, to develop this model ordinance. You can download the Model here, and watch our most recent Webinar discussing the Model here. What: Join Contemporary Automotive's David Hammer and Dan Weeks of ReVision Energy for a live video conversation about responsible business and running and auto dealership on sunshine. What: Setting clean renewable energy goals and defining priorities are important steps in developing solar projects. Join this webinar to learn about the Local Government Solar Project Portal on how to set a renewable energy goal and the key considerations and benefits of doing so. This webinar will provide an overview of a new EPA guidance document for local governments on setting renewable energy goals and present two case studies from the City of Ashland, OR, and the City of Orlando, FL. Along with federal tax incentives of up to $7,500, that makes for a pretty sweet deal on your new EV! Read more here. NHSEA's Henry Herndon would like to send a special thanks to the newly formed Mason Energy Commission for inviting him to join their recent meeting! If you are an Energy Committee/Commission looking to connect with NHSEA resources, please contact Henry, henry@nhsea.org. Where: Multiple sites! Learn more here. What: The Grantham and Eastman Energy Committees are sponsoring a self guided Solar Tour. Flyers with maps of a sampling of the 23 solar arrays and directions are available at the Grantham Town Hall, the Grantham Library and ECA office at the Center in Eastman. Fliers can also be accessed on line at www.granthamnh.net/energy. There will be a variety of roof, ground mount and trackable groundmounts with size and energy output. What: This five day program, run by the Vermont Energy Education Program and New Hampshire Energy Education Project, provides teachers with various opportunities to deepen their understanding of energy and climate through hands-on activities, discussion with experts, collaboration and work time with colleagues. This workshop also supports teachers in shifting instructional practices to align with the three-dimensional learning of the Next Generation Science Standards. Each day teachers will engage in a mixture of instruction, investigation, discussion and PLAY! 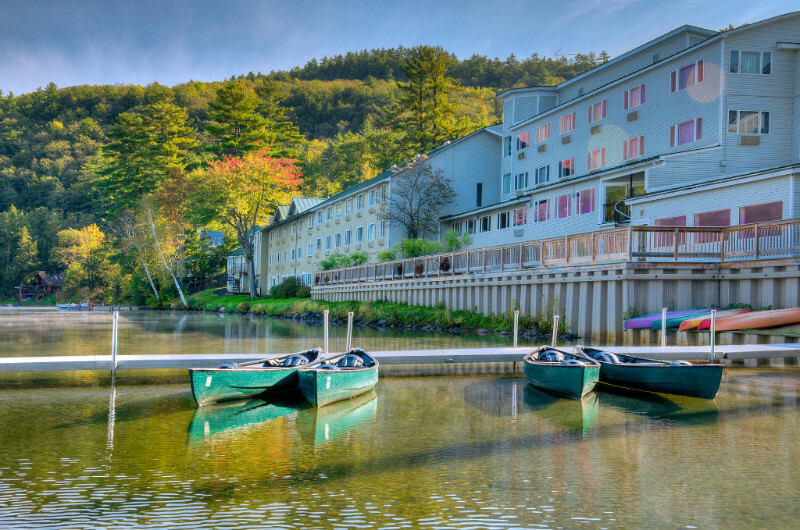 Come relax and recharge with us and enjoy beautiful Lake Morey! Registration: Please see the flyer here, and contact Brian Betournay at brian@veep.org if you'd like more info. Where: The brand new, upscale, and energy efficient Cambria Hotel & Suites in Middletown, Rhode Island. What: Just a stone’s throw from the classic coastal town of Newport, this new resort will be home to NEEP’s two-day Summit featuring an exciting agenda highlighting leaders and leading examples of advanced energy efficiency solutions and approaches. Topics to be explored include: advanced integrated efficiency solutions, advanced EM&V, efficient resilient communities and strategic electrification. Join the dialogue. Connect with peers. Learn from leaders. Be inspired. What: Learn how to put the power of the sun to work for you! Join ReVision Energy on a tour of a rooftop solar electric system. Learn how to transition your home from fossil fuels to clean, solar energy. RSVP: Register here. Please contact Kayla at kwernig@revisionenergy.com or by calling 603.679.1777 with questions. What: Join ReVision Energy for an annual solar champion appreciation / solstice party at Throwback Brewery. Throwback is a ReVision customer who powers their operation with the sun. Event includes amazing farm to table appetizers, music from the Amanda Dane Band, and an “Enjoy the Sun” themed raffle with proceeds going to Rye Airfield’s “Get on Board” educational program. Free drink ticket for all registered attendees and free pint glass for the first 20 RSVPs! What: Join ReVision Energy to learn about how your home or business can go solar - special offerings available until September 1, 2018!